- In India Split Pigeon Pea is also known as Toor Dal or Arhar Dal.Pigeon Pea is rich is potassium, phosphorus, magnesium and calcium. Catering to the requirements of our clients, we are involved in offering Organic Toor Dal. Toor Dal is an essential lentil in every Indian household, and we ensure our customers of the best quality. Tur dal is an excellent source of proteins, rich in folic acid and dietary fibre. It helps to reduce risk of chronic diseases, anemia and acidity. Organic Grade 1 Toor dal direct from farmer produce, export quality grade. Finest quality, easy to cook and tasty when cooked., Traditionally Hand cleaned and first run done for preserving Micro-nutrients. Highly acclaimed for its nutritious value and taste, our firm has been engaged in offering Organic Toor Dal. We are a leading firm in this industry, we are deeply engaged in offering a high-quality range of Toor Dal. Arhar is most widely consumed Pulse crop, Sanjeevani features Arhar dal which is medium in size & very pleasing moderate aroma and great taste. This arhar dal is sorted and machine cleaned as well as hand cleaned, before packing to ensure its purity and hygiene. 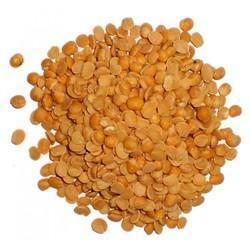 Arhar dal is available with us as per standards and organic regulation of NOP and NPOP.